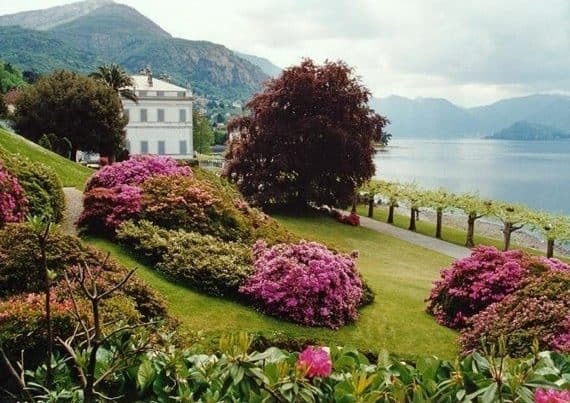 Como is the biggest city on Lake Como. The ancient Como built on the slopes of the hills was conquered by the Romans in 196 BC. In 89BC after the town was devastated, the Romans decided to re-built the settlement near the lake and drained the bottom of the valley. The new town, called Novo Comum, was built according the Roman urban planning, a rectilinear grid of streets wrapped in a wall of defence. This plan can still be seen in the old town. The development of Roman Como is attested by the rich collection of the Archaeological Museum P.Giovio, by the eight cipolin marble columns of the arcades of the school “Liceo Volta”, by some stretches of the town walls and by the remains of the Porta Praetoria. Outside teh walls you can find the foundations of the thermae (called “Pliniane”) and the ruins of a bug Villa dating back to the 2nd centurt AD.